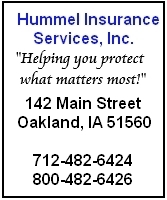 The National Weather Service says thunderstorms are likely across much of Iowa on Wednesday and into early Wednesday night. There will be a threat of severe weather with some of the storms, especially from late in the day through the evening. Large hail and damaging winds will be the primary threats, but there is a possibility of isolated tornadoes as well. The primary threat seems to have shifted further east (Des Moines and southeast/southern Iowa), but the risk of severe weather in the KJAN listening area cannot be ruled out. 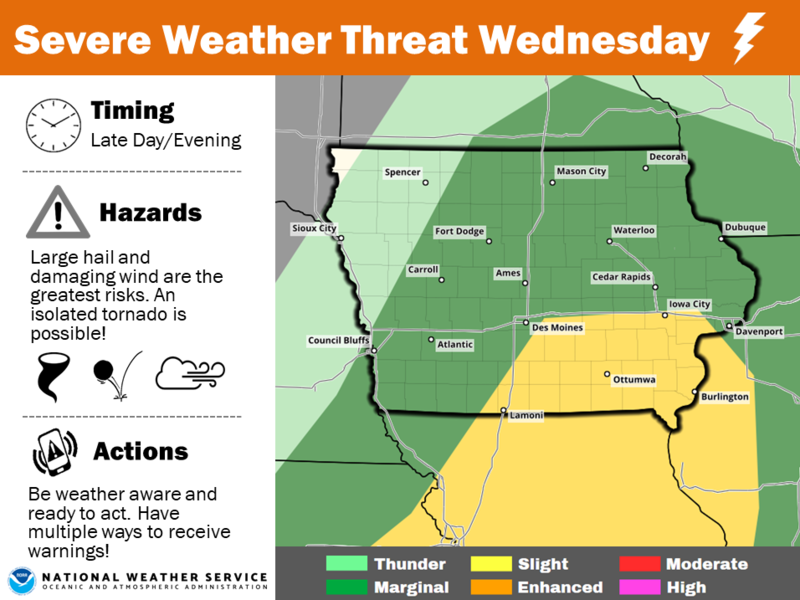 Now is a good time to review your severe weather plan, and be sure to monitor the latest forecast updates leading up to Wednesday!